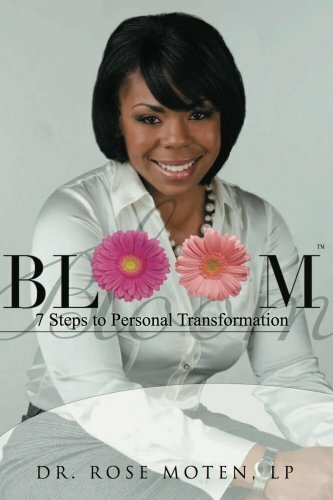 In this first book of the highly anticipated BLOOM series, Dr. Rose Moten, Clinical Psychologist and Life Transformation Coach introduces the BLOOM 7 Step process. “BLOOM: 7 Steps to Personal Transformation” promotes personal transformation utilizing an integration of psychological and metaphysical concepts. The 7 Step Process challenges faulty thinking and behaviors that perpetuate a state of discontent. Through practical, easily understood techniques and personal testimonials including Dr. Rose’s own story of transformation, BLOOM empowers the reader to embark upon a life of fulfilling success. Start your transformation today! Have you ever felt like you couldn’t breath? Like regardless of how tight you held on everything seemed to be slipping away? Rachel Davis is losing herself. Despite years of strategically carving out a meticulous existence, everything she has defined her life by is being snatched away. Just when she thinks she has gotten a firm grip, just when she thinks she has found solid ground, the whole bottom falls out. This is Rachel’s story, her struggle, her Fight for Air. After a series of unexpected events, beginning with the death of her estranged mother, Rachel Davis is in a paradox of running from her past and trying to embrace it at the same time. What she uncovers will ultimately result in self-discovery or self-destruction.